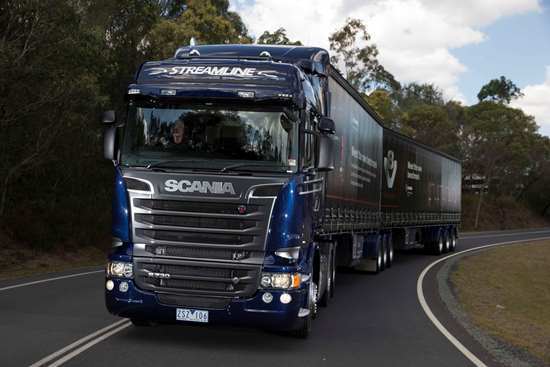 Scania and Ericsson announced their joint research efforts to accelerate the connectivity of commercial vehicles and infrastructure. Both companies said they are convinced that advances in communications technologies and future deployments of 5G networks will enable improvements in the transport of people and cargo. New developments in LTE and 5G standardization have created opportunities for dedicated vehicle-to-vehicle communications using the mobile network while minimizing risks of unpredictability and latency. Scania has pioneered platooning concepts with truck and trailer combinations driving in close formation, thereby reducing air drag and fuel consumption. Legislation at present permits trucks to drive at a safe distance from each other using common in-vehicle features such as radar and cruise control. However, an even narrower distance between trucks – further reducing fuel consumption – requires vehicle-to-vehicle communications and interconnected control systems. Research by Ericsson and Scania has now shown that sufficiently reliable communications can be established using 4G, and future 5G, networks. In a wider perspective, vehicle-to-infrastructure communications is an enabler for system-wide platooning in planning and organizing the formation and dissolution of platoons according to route and schedule. Trucks can thus join and leave platoons in an optimal manner. 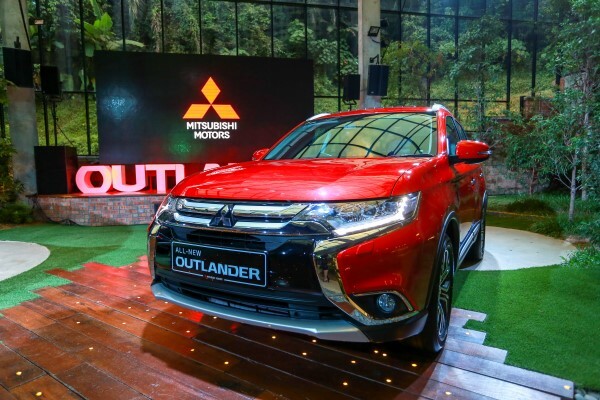 Mitsubishi Motors Malaysia (MMM) the official distributor of Mitsubishi vehicles in Malaysia officially previewed the all-new Mitsubishi Outlander SUV today, ahead of its official launch in April. Scheduled to arrive at all Mitsubishi showrooms nationwide by April, customers may already place their bookings of the Outlander SUV starting from today. 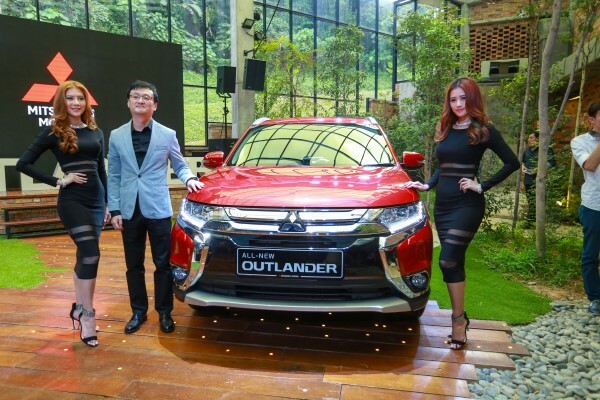 The Outlander SUV comes with an exclusive introductory on-the-road price of RM 166,720.00 for cars booked and registered before 31 May 2016. The Outlander SUV also comes with a warranty package of five years or 100,000km, whichever comes first. The Outlander SUV is offered in three colours- Red Metallic, White Pearl and Grey Metallic. The Outlander SUV comes with premium features such as Sunroof, Electric Tailgate, LED Headlamps with Daytime Running Lights (DRL) and is further accentuated with 18” Dual-Tone Alloy Wheels to complete the stylish stance. Moving into the cabin, the Outlander SUV comes with a versatile 7-seater Leather Seats and Auto Light and Rain Sensor. The sales target set by MMM for the Outlander SUV is 100 units a month. Like other Mitsubishi models, high safety performance is a top priority. Standard safety features offered in the Outlander SUV include 7-Airbags, Active Stability and Traction Control (ASTC), Hill-Start Assist (HSA), Anti-lock braking System (ABS) with Electronic Brake-force Distribution (EBD), Brake Assist, Mitsubishi’s Reinforced Impact Safety Evolution (RISE body) and Collapsible Steering Column. For performance, the Outlander SUV comes with a multi-select 4WD system offering three different modes – 4WD ECO, 4WD Auto and 4WD Lock. 4WD Auto automatically distributes the right amount of torque to all wheels to provide smoother cornering performance and maintains high speed stability while 4WD Lock permanently feeds torque to all wheels during a hill climb, muddy trails or rough roads. Best-in-class features of the Outlander SUV include a spacious cargo which can fit up to 4 golf bags or a single-bed mattress(1,608-litre) and a turning radius of 5.3 metres. 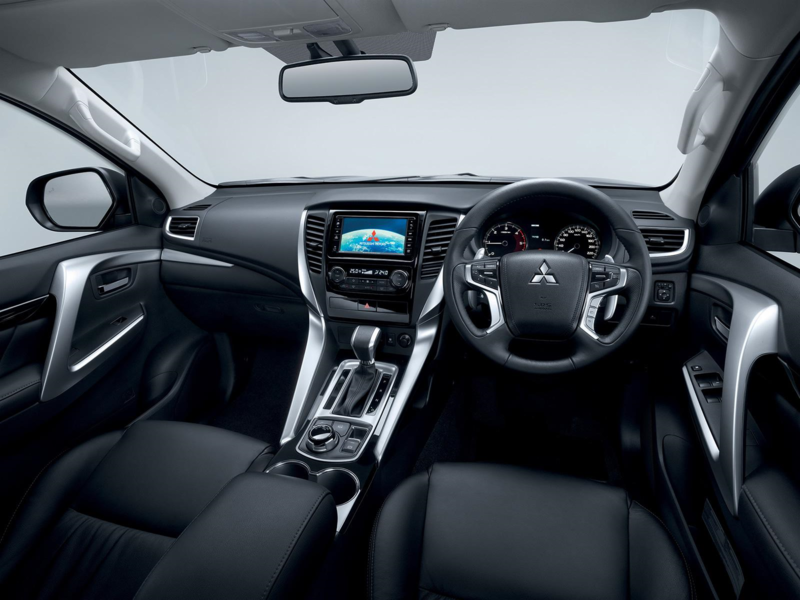 The Outlander SUV also comes with the ‘Dynamic Shield’ front face, a concept in which the dynamic face expresses powerful performance and reassuring sense of protection shared by generations of Mitsubishi vehicles. 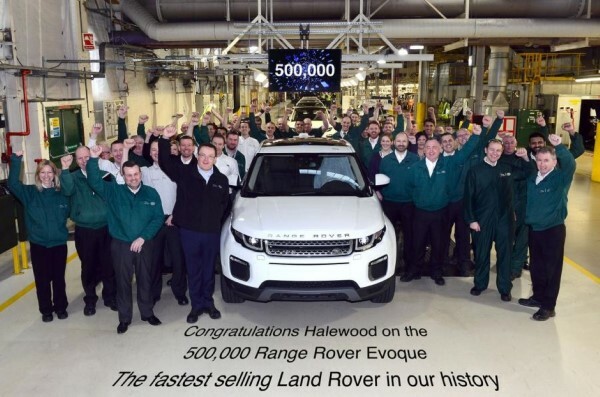 Land Rover is celebrating the production of its 500,000th Range Rover Evoque at Halewood, just over four years after deliveries of the luxury compact SUV commenced. Evoque is the fastest-selling and most successful Land Rover ever produced, having become the quickest to reach the half-a-million vehicle production landmark. One in every three Land Rovers sold around the world is an Evoque and strong global demand ensures the production line at Halewood is in operation 24 hours a day, with a new vehicle coming off the line every 80 seconds. The launch of the Evoque marked a major milestone in the transformation of the fortunes of the Halewood manufacturing plant which welcomed £250mn of investment to bring this award winning model to market. Its arrival at the Merseyside based site saw the introduction of a third shift and in just four the plant’s workforce trebled and production quadrupled. Evoque continues to support Range Rover’s reputation for engineering excellence and innovation. For the 2016 model year, the luxury compact SUV was enhanced with refinements to the ground breaking exterior design including the availability of full-LED adaptive headlamps – a first for Jaguar Land Rover. An advanced line-up of new Ingenium diesel engines also delivers best-in-class CO2 emissions of 109g/km and fuel consumption of 68mpg (4.2 l/100km), making Evoque the most efficient Land Rover model. The striking new Evoque Convertible made its world debut at the Los Angeles Motor Show in November 2015. When it goes on sale from Spring 2016, it will be the only luxury compact SUV convertible in the world. The completion of the 500,000th Evoque is the latest in a series of Land Rover production milestones achieved recently. In April 2015, Land Rover celebrated its 6,000,000th vehicle sold – a specially manufactured Range Rover Vogue SE LWB fitted with unique puddle lamp designs to mark the occasion. 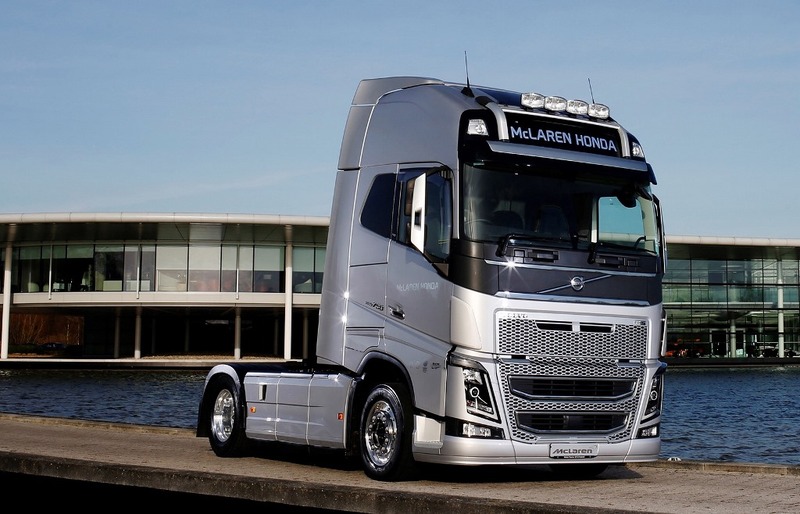 McLaren-Honda has just announced that Volvo Trucks is the official supplier of trucks and haulage to its Formula 1 team. 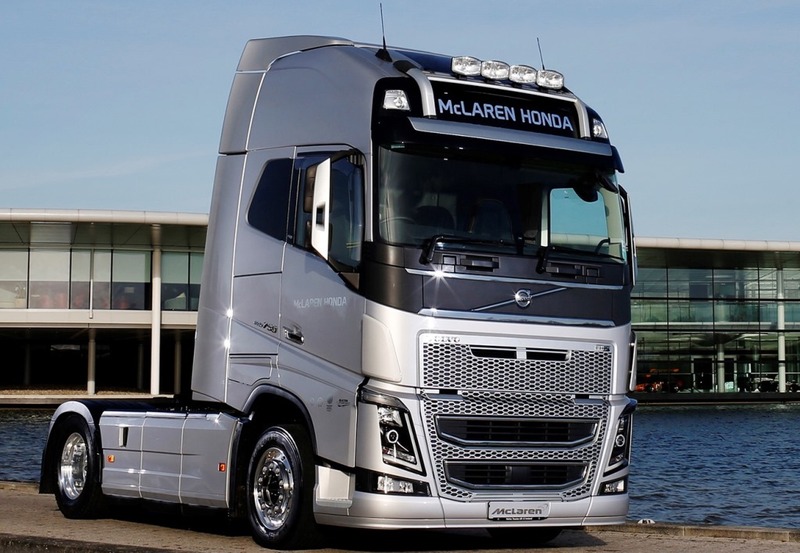 The partnership will see McLaren-Honda take delivery of a brand new fleet of 24 state-of-the-art Volvo FH Series trucks for the duration of the four-year agreement. They will provide essential transport solutions and logistics support for both race team and hospitality operations. Mitsubishi Motors Corporation (MMC) announced the first full-redesign of the Pajero Sport mid-size SUV in seven years in Thailand, where it is produced at Mitsubishi Motors (Thailand) Co. Ltd.’s Laem Chabang Plant. 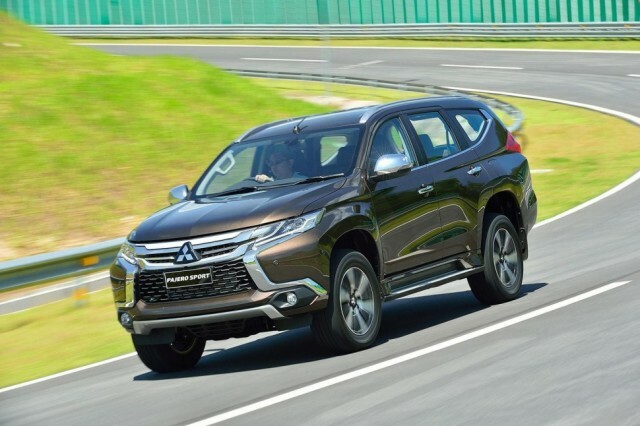 Sales start in Thailand from this fall, and MMC plans to introduce the all-new Pajero Sport sequentially in Australia, the ASEAN nations, the Middle East, Africa, Latin America and Russia and, as with its predecessor, to sell the new model in some 90 countries. The all-new Pajero Sport is a new-generation mid-size SUV developed to a “Stylish & Comfortable Off-road SUV” concept. A full-feature off-road SUV inheriting the best of the Pajero brand, the all-new Pajero Sport brings with it a refined and high-quality exterior design, high-quality vehicle performance and a comfortable interior, environmental performance on a par with the best in its class, and a comprehensive advanced safety features. The all-new Pajero Sport is powered by a 2.4L MIVEC turbo diesel engine (first for a Pajero Sport). 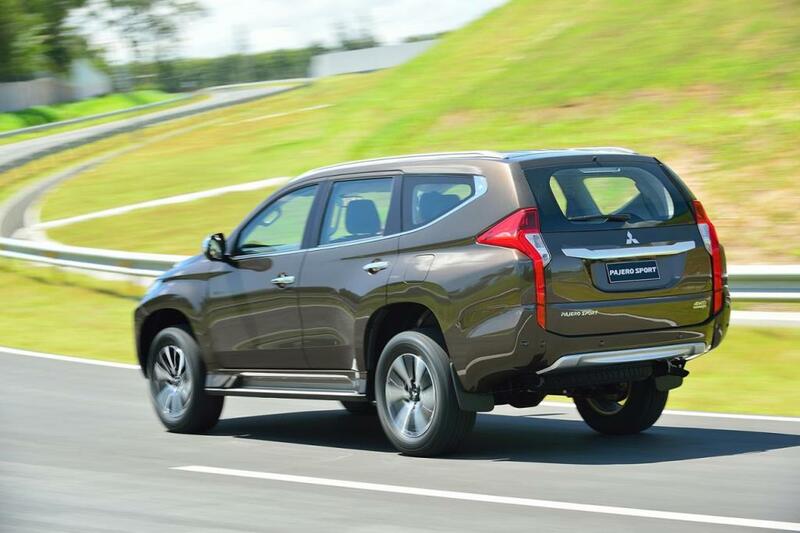 Mated to a new 8-speed automatic transmission (first for a Mitsubishi model) developed for the all-new Pajero Sport, this powertrain returns a 17-percent improvement in fuel economy over its predecessor. It also achieves CO2 emissions of under 200 g/km which puts it into the lowest bracket of the new excise tax structure to be introduced in Thailand in January 2016. The all-new Pajero Sport comes with a very comprehensive active and passive safety features. MMC’s own RISE impact safety body design and a total of seven SRS airbags provide occupants with outstanding passive safety. Active safety features include Forward Collision Mitigation system (FCM), the Blind Spot Warning system (BSW, a first on a Mitsubishi model) and the Ultrasonic misacceleration Mitigation System (UMS). In addition the all-new Pajero Sport is fitted with many advanced features which go well beyond what normally found in this class such as an electric parking brake (first on a Mitsubishi model), a Multi-around Monitor and fully automatic climate control allowing different temperatures to be set for driver and front seat passenger. The production of the previous Pajero Sport started in Thailand in 2008 and it was launched in Russia same year, after which it was rolled out sequentially in Thailand, the ASEAN nations, the Middle East, Africa, Latin America, Australia and China. Local production of the model also began in Brazil in January 2011, in Vietnam in July 2011, Bangladesh in August 2011, in Russia in July 2013 and in China in October 2013. Cumulative unit sales had reached some 400,000 at the end of June 2015 and today the Pajero Sport enjoys a broad user base in a wide spectrum of regions. Today’s Euro VI standard enforces a large reduction in pollutants, with over 99% reduction in Particulate Matter and over 97% reduction in NOx – both a danger to human health. 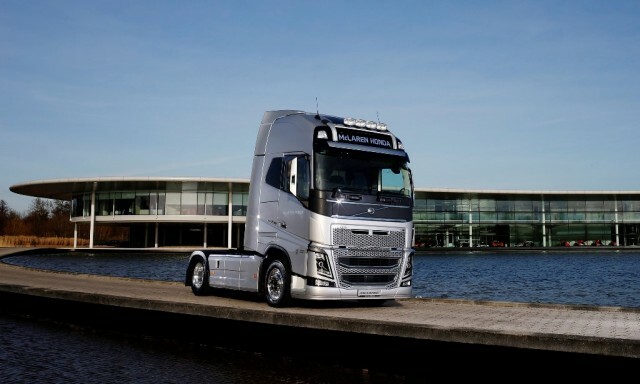 CO2 is not currently included in any truck emissions standard as it is not a regulated emission. However, It is directly linked to fuel use, with a 5% saving in fuel being a 5% reduction in CO2. Moving forward, no one is quite sure what Euro VII will address and when it will be implemented, but it is highly likely that it will feature a CO2 measurement for the first time. Making up just 3% of vehicles on EU roads, lorries are responsible for 25% of road transport emissions and ca. 6% of total EU emissions. That share is increasing; between 1990 and 2010 lorry emissions rose by 36%, and without action they could increase by another 22% by 2030 (source). The majority of trucks on the road are diesel powered, and there is now growing concern over the links between diesel emissions and human health problems. Already five EU countries, including the UK, are urging the European Commission to push ahead with tighter emission controls for HDVs in Europe. Emissions standards and advanced testing procedures will play a vital role in cutting emissions post-the Paris Climate Summit, but fuel-saving truck technology can play a huge role too. 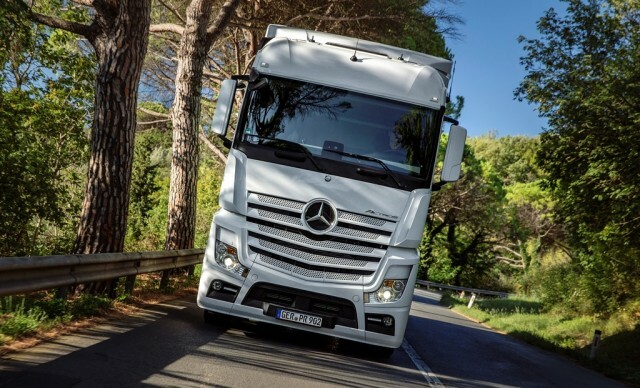 According to European Commission studies, the technology we need to make trucks 35% more efficient without increasing the cost of ownership for hauliers is already here. Better aerodynamics, tires, incremental powertrain improvements and advanced technologies such as waste heat recovery and hybridisation all play a part. The last Paris Climate Change Conference put vehicle emissions firmly back on the agenda. With world leaders gathering to negotiate tighter emissions targets for our planet, companies relying on and producing heavy-duty vehicles (HDVs) took note. For almost three decades Europe has sought to control HDV emissions in a bid to protect human health and reduce greenhouse gases. Europe first introduced heavy-duty vehicle emission standards in 1988. The now familiar “Euro” standard was introduced in 1992 with increasingly stringent standards implemented every few years. Many countries have developed regulations that are closely aligned with these European standards. 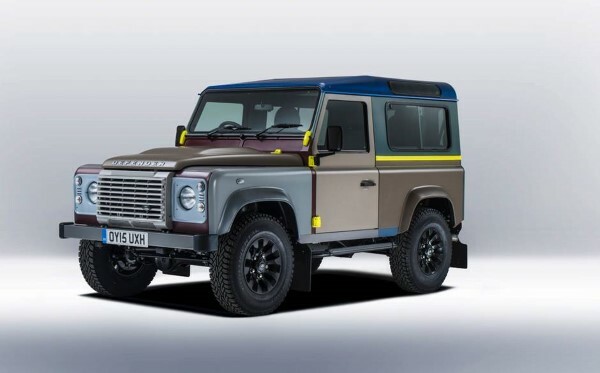 To coincide with London Fashion Week 2016, Land Rover has released a film of its collaboration with British designer, Sir Paul Smith, to create a bespoke Defender – which was revealed ahead of the last of the current Defenders reaching the end of production. 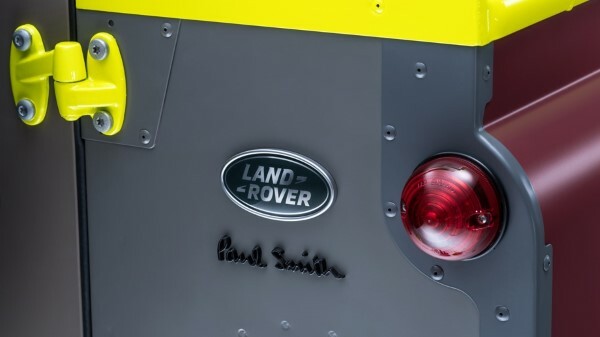 Paul worked closely with Land Rover’s Special Vehicle Operations (SVO) design team – which offers individual customer commissions and personalisation – to create a unique vehicle, built entirely to his own specification. With guidance from Land Rover’s Chief Design Officer, Gerry McGovern, he was able to realise his uniquely-personal version of this global automotive icon. In order to achieve the look he wanted, Paul gave the SVO team a set of Pantone colour references, which were then specially mixed to create the 27 colours used for the vehicle’s exterior. Groupe Renault today announced that its Sandouville plant in northwest France will build the next-generation light commercial vehicle for Nissan. Nissan NV300 production shall increase the factory’s output by 100,000 units between 2016 and 2026. A three-year work and €230 million investment have transformed Sandouville, near Le Havre, into a center of excellence for van production. The Nissan NV300 will be made on the same line as the new Renault Trafic. “The production of the Nissan NV300 at the Sandouville plant is a win-win for Renault and for Nissan. We maximize Renault manufacturing expertise and Nissan gets a top quality production site in the heart of the European market,” said Carlos Ghosn, Renault Chief Executive Officer. Sandouville also produces a version of Vivaro for Opel and Vauxhaul. The plant will soon begin production of the next-generation Fiat mid-size van. Nissan and Renault are also developing a one-tonne pickup for Renault that will share select architectural features of the Nissan NP300. Sandouville produced 93,000 Trafic last year. The plant produces more than 460 vans per day for Renault and its partners. Renault is adding 183 new positions at the plant. 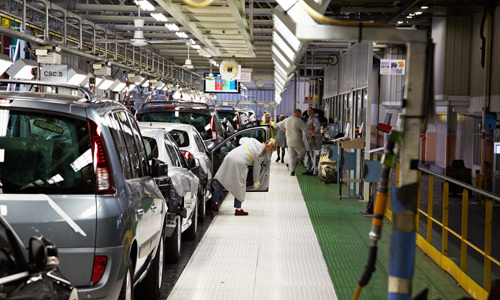 The Renault Agreement: “Contract for a new dynamic of Renault growth and social development in France”, signed on March 2013 , between Renault and union representatives, paved the way for increased efficiency at Renault’s plants throughout France. It opened the door to strategic partnerships that promote growth like the production of Nissan NV300 in Sandouville plant. Engines for Trafic and Nissan NV300 are produced by Renault Groupe’s Cléon plant in Normandy, which specialises in high-precision powertrain production. In 2015, Renault was Europe’s best-selling LCV brand for the 18th consecutive year. Renault’s expertise has earned recognition in the demanding and growing LCV segment. Groupe Renault engineers and produces not only for its own brands but also for other manufacturers. Mercedes Citan and Renault Kangoo are produced at the Renault factory in Maubeuge (North of France). At Batilly plant, Renault manufactures vans for Nissan (NV400), Opel and Vauxhall (Movano) as well as Master for Renault and Renault Trucks. MAN is offering its customers several upgraded equipment features in the TGX D38. The top model is tailor-made for extraordinarily efficient driving at low speeds. For its flagship model, MAN is placing a consistent focus on the total cost of operation (TCO): the TGX D38 driveline has undergone rigorous development and, since summer 2015, has featured a new generation of gearboxes in the form of the MAN TipMatic TX, along with extended convenience functions. In the new model generation, the EfficientCruise assistant uses even more functions to save fuel. The system is based on a route preview that is calculated using the 3D map information saved on the on-board computer and the vehicle’s location based on satellite signals (GPS). This means the vehicle automatically drives in a forward-looking manner – in other words, it builds up momentum before the incline and then reduces speed to roll over the brow of the hill. 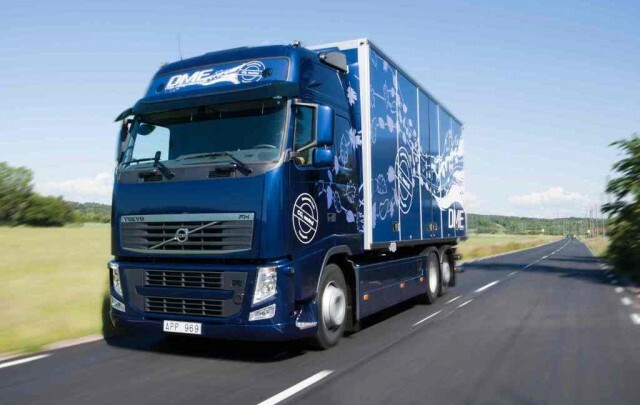 Using EfficientCruise in long-haul or distribution transport can lower a vehicle’s fuel consumption by up to six per cent without incurring any time loss along the way. The assistant supports the driver on long distances by taking over the challenging task of always knowing when it is best to accelerate. The assistant’s tried and trusted operation will not change with the 2016 generation: based on the desired speed chosen by the driver and the speed tolerance that can be set to four levels, EfficientCruise calculates the suitable speed for consumption-optimised driving on uphill and downhill gradients and adapts the vehicle speed accordingly. The driver can adjust the tolerance level for deviations from the set speed at any time to suit the driving scenario. Four field-tested levels make it easier for the driver to choose the right setting. When switching on, level 3 is selected automatically, which corresponds to a spread of +/- 7 km/h. Level 4 allows for even greater leeway both upwards and downwards for low traffic volumes; levels 1 and 2 are good driving options when traffic is heavier. Gradient sensor and Active Damping: thanks to the integrated gradient sensor, the TGX D38 takes the current topography into account when selecting a gear. The driveline always finds the right gear for moving off – whether driving uphill, with an empty vehicle or with full loads. The high transmission-ratio spread and a newly developed clutch actuator help to achieve excellent moving-off and manoeuvring behaviour. The new “Active Driveline Damping” function helps the driver move off smoothly, even under difficult driving conditions, while an anti-cyclic, pulsed clutch actuator counteracts vibrations in the driveline. Manoeuvring feature and rocking-free function: MAN has optimised the manoeuvring feature in the new generation: the interaction between the accelerator position and clutch controls has been designed to function even more smoothly, so that the driver can manoeuvre more accurately at the loading ramp or when picking up swap bodies. The MAN TGX D38 also offers a rocking-free function. This makes it easier for vehicles to move off when stuck on snow-covered roads or on construction sites, for example. If the function is activated, the clutch opens very quickly, so long as the driver has lifted off the accelerator. If the accelerator is pressed again the clutch closes, allowing the driver to carefully rock the vehicle free. A suitable gear is selected automatically here in order to reduce the torque to the drive wheels and thus avoid wheel spin. Speed shifting: thanks to the engine, clutch and gearbox control being specially coordinated, the MAN TipMatic TX shifts between the three highest gears – 10th, 11th and 12th – more quickly. This means, for example, that the gearbox can shift down more quickly when going uphill and the torque for tractive force interruption is shortened. This in turn means that greater momentum is maintained, saving the vehicle’s fuel. EfficientRoll: the EfficientRoll gearbox function is designed for motorway and country road stretches that run gently downhill. Even on almost flat stretches, fuel can be saved as the vehicle automatically shifts to neutral and coasts, without the vehicle’s speed being reduced by engine braking. The new generation EfficientCruise assistant automatically activates EfficientRoll and always when fuel can be saved. Idle Speed Driving: the Idle Speed Driving function uses the high torque of the 15.2-litre engine at low speeds, providing greater comfort when driving slowly and allowing for greater fuel-savings. This is particularly practical in stop-go traffic or when coasting up to a roundabout. In such situations, the vehicle will continue to move forward with the engine at idling speed and the clutch closed, as long as the driver does not brake. 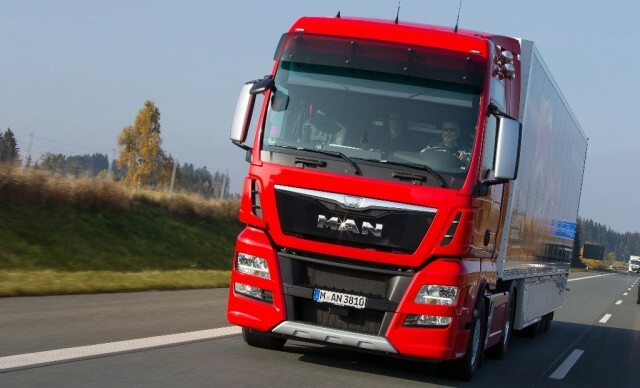 MAN’s new generation of the EBA emergency braking system combines information from the radar sensor in the front end and from the windscreen-mounted camera. This sensor fusion allows the system to make trustworthy interpretations of situations on the road. Vehicles in front and stationary obstructions can be identified faster and with greater certitude. The system thus gains time to initiate emergency braking earlier if so required. In an emergency the vehicle can thus shed more speed and come to a halt some valuable metres sooner. The new Lane Guard System (LGS) uses the latest camera technology. This makes for greater accuracy in lane detection and a minimum of unjustified warnings. At speeds above 60 km/h the LGS monitors the vehicle’s position with respect to the lane and warns the driver should he accidentally cross the lane markings. 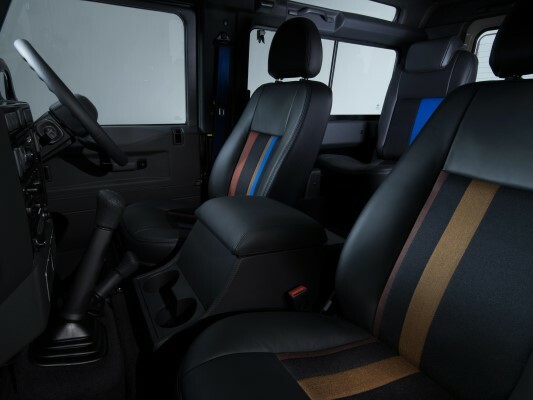 Additional functions improve the driver’s comfort. The new system detects autonomously when lane conditions change: a reliable warning is only possible when right-hand and left-hand lane markings are present and the lane exceeds a minimum width. The new LGS also takes into account the fact that many drivers for the sake of safety like to drive on the outside of the lane – that is, at the right edge in countries which drive on the right – and for this side of the lane gives a warning later. The system also adjusts automatically to whether the country drives on the left or on the right. The driver can thus enjoy the pleasure of an adaptive warning philosophy. ACC is an intelligent development of cruise control which also controls vehicles’ brake systems. This particularly supports the driver on long stretches of motorway driving. 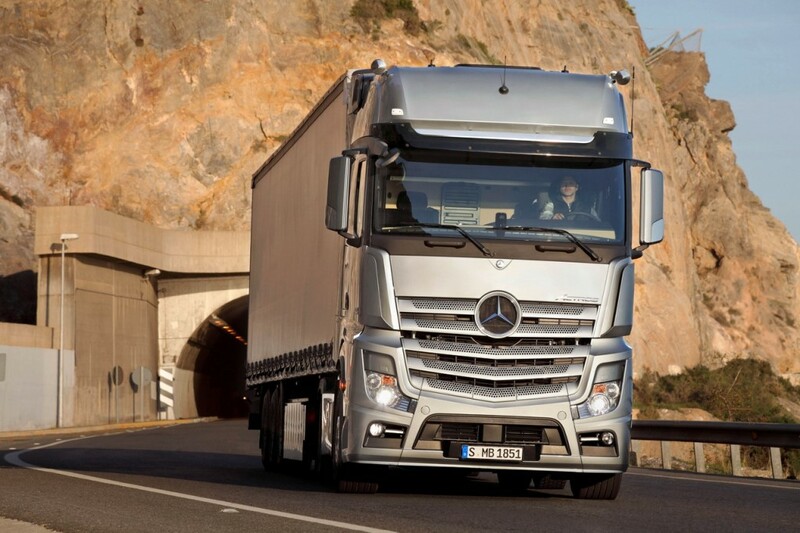 Automatically maintaining the correct safety distance significantly increases road safety. The new ACC works to do this with two independent sensor systems: a radar and a camera. When the radar sensor detects vehicles ahead, it calculates their speed, distance and position in relation to your vehicle. The camera in the windscreen independently recognises objects and also records the roadway markings. The camera and radar are in constant communication and compare their results. This means the vehicle in front can be detected with a high level of precision and reliability even on difficult routes. The MAN system with a camera and radar functions more reliably on twisty country roads than systems that solely rely on a radar. 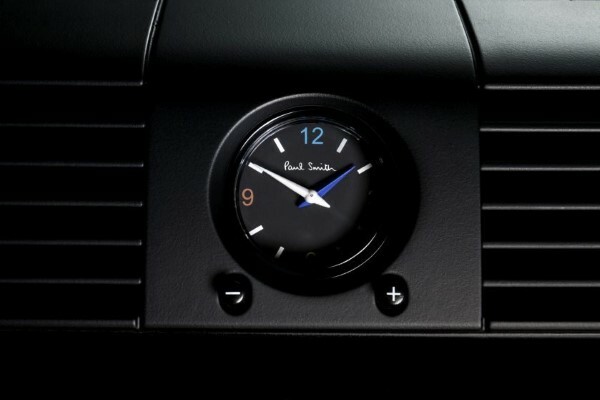 From early 2016, it will be possible to fit an automatic lighting system on all models on request. If the driver selects the “Auto” function on the light switch, the vehicle will automatically switch the dipped headlights on and off based on the ambient light level. For example, when darkness falls or when driving through a tunnel during the day, the low-beam headlights are automatically switched on via a twilight sensor. The low-beam headlights are also activated in the rain (if the windscreen wiper is switched on continuously). This means other road users can see your vehicle more easily. The limiting lights and side marker lights are also controlled by the system. MAN is introducing three style packages for the TGX series – Euro 6 version – as new for the start of 2016. These will improve the look of the vehicle and heighten the appeal to those drivers who love to customise their working vehicle. In-plant assembly means that the subsequent addition of supplier parts is no longer required. The customer receives everything from MAN from a single source with the necessary entries in the vehicle papers.